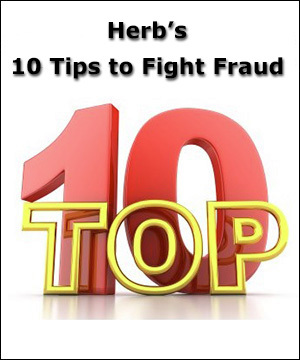 FRAUD FIGHTING TOOL OR MARKETING HYPE? Many consumers are confused about what ‘dark web monitoring’ can really do. It cannot remove stolen information from this criminal marketplace or stop fraudsters from using it. So why pay for this service? CREDIT CARD RIGHT FOR YOU? Many people greatly overestimate the value of the points or miles they accumulate. These cards are not for everyone and unless you choose wisely, they could cost you money. You have insurance, so you assume you’re getting the best price for your prescription drugs. Not necessarily. Sometimes, because of high deductibles or high co-pays, it’s cheaper to skip the insurance and pay the ‘retail’ price. Coupons and other discounts can also help you save more. Editors found at least one glitch –in each of the services. These problems included outdated information, incomplete advice, and program designs that — in a couple of instances — could affect a taxpayer’s bottom line due to a missed tax break. One in five U.S. taxpayers could owe the IRS money this year. If you can’t pay in full on time, take a deep breath – there are things you can do to avoid getting into a big penalty situation. TRIP INSURANCE: SHOULD YOU BUY BEFORE YOU FLY? Trip cancellation and interruption policies sold by airlines and travel websites typically provide ‘pretty thin coverage,’ a recent analysis concludes. It may also duplicate coverage you already have from your credit card. When it comes to satisfying their customers, most U.S. retailers — both brick-and-mortar and online — are losing ground, according to an annual consumer satisfaction survey. Shoppers say they are not happy with the “lackluster” and “underwhelming” customer service they so often experience. Good oral health is just as important for your dogs and cats as it is for the other members of your family. Typically, they should have a yearly oral checkup and cleaning. And you should be brushing at home, too. Some of the big-name storefront tax preparers – H&R Block, Jackson Hewitt and Liberty Tax – offer zero interest and no fee programs that can get you some of your refund in a day or two – but watch out for fees on the back end. If you were a victim of the massive Equifax breach in 2017 and signed up for their free TrustedID Premier credit lock, your subscription expired on Jan. 31. Here’s what happened and how to make sure your file is secure. The new credit assessment program could help millions of Americans instantly improve their credit scores by adding data from their checking account. For people with limited credit history, Experian Boost will provide a second chance to prove themselves trustworthy borrowers.